Customers will work with Michelle to select a design appropriate for the quilt top. 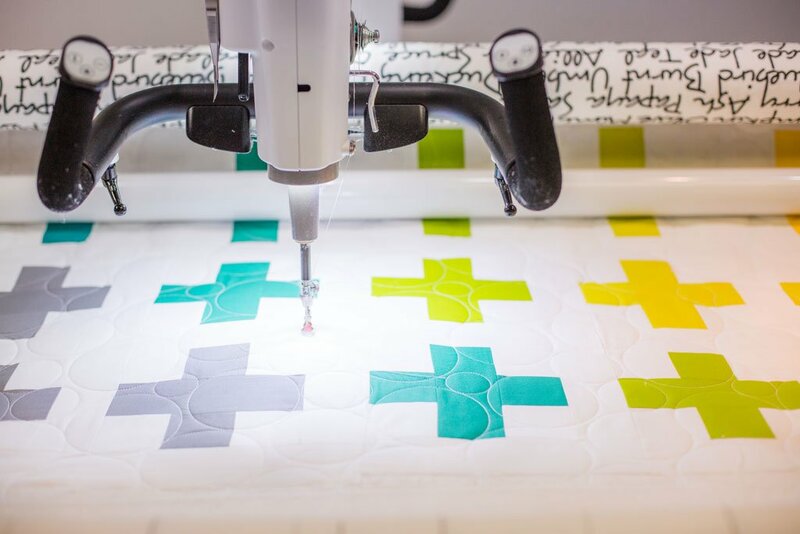 Urban Spools currently offers computerized edge-to-edge quilting. The pricing for this type of quilting is determined by the density of the quilting and how much customization is required. For example, an overall design done edge-to-edge over the entire quilt would be priced at $0.02 per square inch. 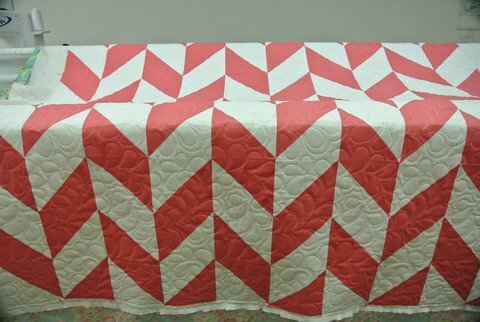 This type of quilting can take anywhere from 3-6 hours per quilt. Denser and more time-consuming designs start at a slightly higher price point. 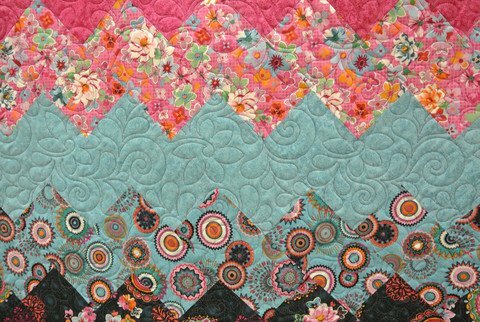 Do you want to do your own machine quilting on that top you lovingly pieced? Hate to pin baste? Michelle can baste the quilt for you on the Handi Quilter frame. The cost for this is $0.0075 per square inch. There is a minimum price of $60 plus batting regardless of size. Urban Spools carries several types of batting for you to choose from. We believe in using a good quality batting and the brands we carry have been thoroughly tested for drape, softness, and quality. Our range of battings work well with our Handi Quilter Machines. We carry 100% cotton, 80/20 cotton blends, soy, wool, and polyester. Michelle can assist you in selecting the best batting for your needs. The pricing on our batting is competitive. Backing - We ask that your backing be at least 4" wider than the quilt top on all sides. This is absolutely necessary to allow for room to attach the backing to the quilt frame. If your backing is not wide enough, a muslin strip will be added to the backing at a cost of $15 per seam. We also ask that you square the edges of the backing to ensure that it can be attached to the frame as straight as possible. If there is a seam in the backing, it is best if the seam runs horizontally. Quilt Top - Make sure that all seams are securely sewn. 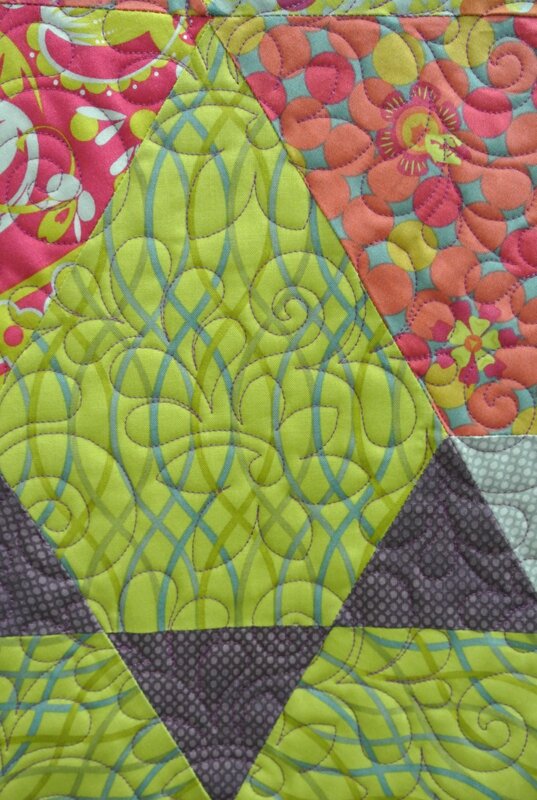 It is recommended that you "stay stitch" the outside edge of your quilt 1/8" away from the edge. 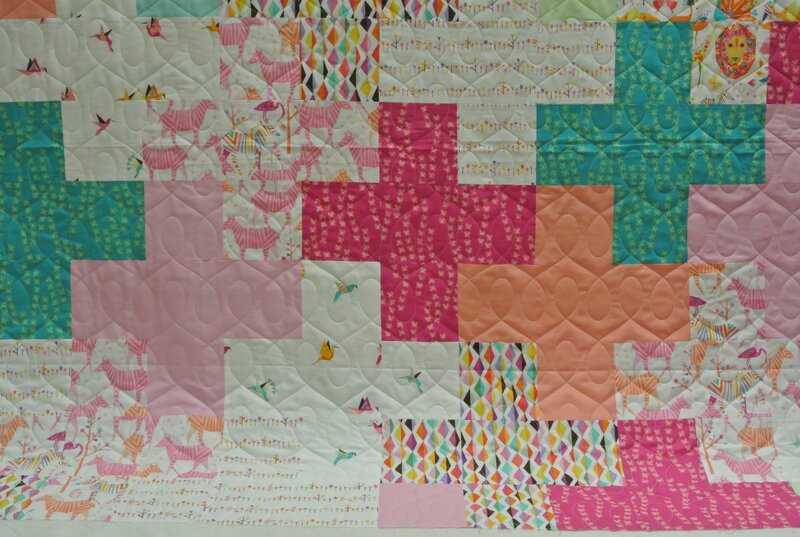 This step is not necessary if you have a solid border as the outer-most edge of the quilt. Iron the quilt top to ensure that there are no pleats at the seams. Quilts will not be released to you until payment has been made in full. Urban Spools accepts Visa/Mastercard, American Express, Paypal, checks, and cash. 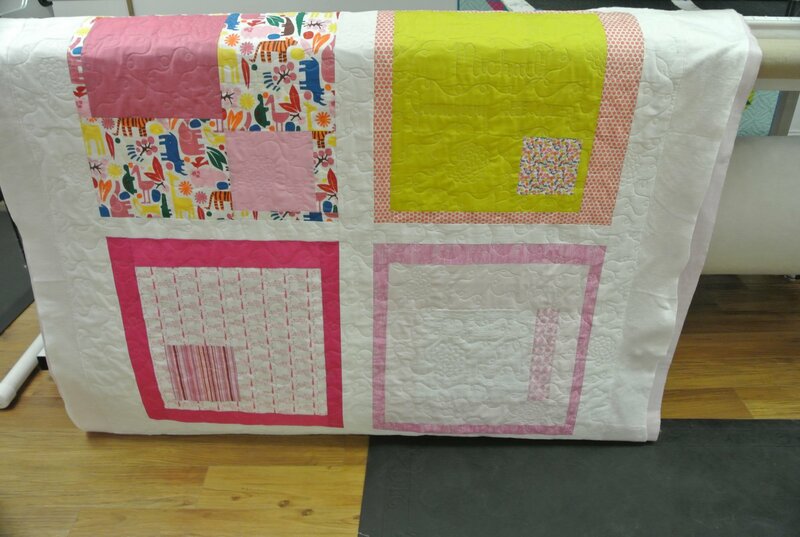 If a quilt is not picked up within 60 days of completion, it will become the property of Urban Spools Sewing Lounge.